Under coach Mike D'Antoni, the Houston Rockets have taken their pace-and-space stylings to a new level this season. Their strategy is simple: Give the ball to James Harden, let him run pick-and-rolls and either get to the basket or create open 3-point shots. 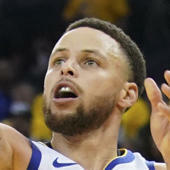 In their 117-104 victory over Sacramento Kings on Friday, the Rockets did something that D'Antoni's old seven-seconds-or-less Phoenix Suns teams never did, something that the Stephen Curry-led Golden State Warriors have never done, something that the NBA has never seen before in all of its history: They attempted 50 3-pointers. The previous record was 49, set by the 1995-1996 Dallas Mavericks in a 127-117 win over the New Jersey Nets. Those Mavericks made 18 of their attempts, while the Rockets made 21, just two shy of the record for makes. Hey, no one can accuse the Rockets of not having an offensive game plan.